The TRiKC Big Spin Sessions are not just another spin class. We believe in challenging the status quo, we believe in thinking differently. No more out-dated training from other sports. We offer innovative training techniques designed to take your "Triathlon" fitness, strength, and performance to the next level. Don't just spin your wheels this winter, come swim, bike, and run with us at the spectacular J KC Sports facility for some distinctive training, incredible coaching, and a lot of fun. Others have attempted to imitate our Big Spin Sessions, but no one can duplicate them. We are always a step ahead. If you want to be a better "Triathlete", join us for the 2019 Big Spin™ Sessions. Getting Faster, Just Got Easier! The Ultimate Winter Training Series: TRiKC is offering its 90 minute “swimbikerun” Big Spin Sessions designed specifically for triathletes at the J KC Fitness and Sports Center. There is no other winter training program like this anywhere. Weekly Revolutions:. Our 11 week program will make you work harder, sweat more, and take your winter fitness to a new level. Do not just spin your wheels attempting to get into shape, let your heart race into nirvana at the TRiKC Big Spin Sessions will be held every Tuesday starting January 8. Each session will start promptly at 7:00pm and will last 90 minutes. TRi Package: Do not miss the TRiKC 90 minute “swimbikerun” program designed specifically for triathletes. In our program you will not only learn proper triathlon cycling technique, you will learn to tune your legs for the run after the bike and to perfect your swim in the congested waters of a triathlon. Cycling is just one-third of a triathlon, get the complete package with TRiKC’s Big Spin Sessions. Do not settle for less. Indoor Triathlon Finale: Our last TRiKC Big Spin Session on March 19 will include an indoor triathlon. Your night will consist of 15 minutes of swimming, 60 minutes of cycling, and 20 minutes of running. The best value for winter training you will find! Bogo Training Workouts: Each week participants will receive by email a Swim Bike Run workout designed to build Functional STRENGTH in preperation to be race ready for the upcoming season. These workouts will better promote skill acquisition in the specific disciplines and better promote strength acquisition within the specific muscles that we use in our sport. Combined with the Big Spin Sessions, this will provide the perfect fusion of training for those who live, eat, sleep, drink, breath and train in "the real world." A matchless formula to build strength, stamina, and spirit! SpinMaster: IT'S ALL ABOUT YOU! Get stronger this winter at TRiKC's Big Spin. We offer the most demanding and rewarding program known in the United States. Come spin and try to become our club's "SpinMaster™" for 2019. You will take home an incredible prize like a Giro Aero Helmet or a Garmin Forerunner. Our Coaches: We are proud to have a variety of the area's best USA Triathlon and Ironman Certified Coaches to conduct our Winter Training Sessions. Our coaches pledge to help you become the triathlete you want to be by elevating your enjoyment of training to a new level. Equipment: For the bike, all you need is a bicycle, wind trainer and a towel or mat to place under your equipment. A cadence sensor on your bike will be helpful, but not necessary. You will need running shoes, a swim suit, and goggles, unless you just desire to cycle. We will email you with other suggested swim equipment. Our program is available for all levels and for anyone interested in improving their health including mountain bikers, cyclists, and runners. Need a Bike Trainer? : We have a limited number of trainers which you can rent for $3.00 per session. They are available on a first come basis, by reservation. 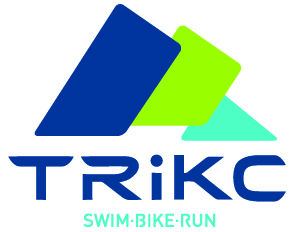 If you would like to rent a trainer, send us an email at TRiKCtriclub@gmail.com. ALL TRAINERS HAVE BEEN RENTED AT THIS TIME. Location: TRiKC holds its Big Spin Sessions in the state of the art J KC Fitness and Sports Center. The J KC Fitness and Sports Center provides a comfortable and exciting venue for the TRiKC “swimbikerun” Big Spin Sessions. J KC Fitness and Sports Center Member Discount: Active members of the J KC Fitness and Sports Center can participate in the TRiKC Big Spin Sessions at the discounted rate which includes a 3 month membership to TRiKC. 2018 Big Spin Sessions Participants Discount: If you participated in last year's Big Spin Sessions and you register early for the 2019 Big Spin Sessions, your fee will be discounted. You were great last year and we hope to see you back! After Hours: After each rewarding workout, we visit one of Kansas City’s great eateries to refuel. The conversation flows as easy as the beverages and the vibe is distinctly After Hours. Join us! Walk-Ins: If space is available, TRiKC members can attend individual Big Spin Sessions at the rate of $12.00 per session. If you would like to attend an individual session, send an email to TRiKCtriclub@gmail.com and we will confirm whether or not space is available for that session.